I grew up near a SAC base in NH and always enjoyed driving out to watch the FB-111's work the pattern. As I got older I would visit air shows around New England. In High school a motorcycle accident kept me from joining any service so visiting this air shows was as close as I was going to get. A few years ago I dove into Digital photography and have had a blast. Between learning techniques on forums or from friends I've had a blast taking pictures of air planes. I've been lucky with some of my base visits and Air to Air flights. I would like to thank all the Men and Women who fight for our freedom everyday. Photo report of The Great New England Air Show 2018 at Westover Air Reserve Base, home of the 439th Airlift Wing flying the C-5M Super Galaxy. The USAF Thunderbirds were the headline act. Photo report of the Rhode Island National Guard Open House & Air Show 2018, Quonset State Airport, featuring the US Navy Blue Angels and USAF Heritage Flight consisting of the F-35 Lightning II, F-16C Fighting Falcon, P-51D Mustang. The Westfield International Air Show 2017 at Barnes Air National Guard Base celebrated a Century of Airpower, featuring the USAF Thunderbirds. Photo report of the 2017 Leapfest International Military Static Line Parachute Competition, with the CH-47F Chinook as jump platform. Report from the 2015 Rhode Island National Guard Open House Air Show at Quonset State airport, North Kingstown with photos of the USN Blue Angels, Canadian Snowbirds and CF-18 Demo, Breitling Jet Team and F-16 Viper Demo. Photo report of The Great New England Air Show 2015 held in celebration of the 75th anniversary of Westover Air Reserve Base in Chicopee, MA, featuring the Canadian Snowbirds, CF-18 Hornet, F-22 Raptor Demo, and the US Navy Blue Angels. Air show report of the Rhode Island National Guard Open House Air Show of May 17-18, 2014. Featuring the USN Blue Angels, USAF F-22 Raptor Demo, USMC MV-22 Osprey Demo and the Horsemen flight team, Collins Foundation A-1E Skyraider and more. Air Show report of the 2012 NAS Oceana Air Show including the F/A-18 fleet demo, Hornet tac demos, tailhook legacy flight, Friday's sunset show, USAF QF-4 and F-16, Black Diamond Jet Team, C-2 Red Devils airdrop and the USN Blue Angels demonstration team. Airshow report of the 2012 edition of The Great New England Air Show at Westover Air Reserve Base with the C-5 Galaxy, Super Hornet Demo and USMC MV-22 Osprey. Boston-Portsmouth Air Show 2012 photo review, featuring the USN Blue Angels. Report of the Great State of Maine Air Show 2011 at the Brunswick Executive Airport, former Naval Air Station Brunswick. Featuring the USN Blue Angels and USAF A-10 Demo East. Photo report of the Boston-Portsmouth Air Show 2011 at Pease Air National Guard Base / Pease International Airport. 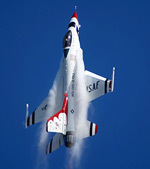 Featuring the Heavy Metal Jet Team and the USAF Thunderbirds demonstration team. Photo report of the Boston-Portsmouth Air Show 2010 at Pease ANGB / Portsmouth International Airport, featuring the U.S. Navy Blue Angels and Brazilian AF Smoke Squadron. Report of the 2010 Westfield International Air Show at Barnes Air National Guard Base with photos of the USAF Thunderbirds and other performers. Rhode Island National Guard Open House Air Show 2010, North Kingstown. Report and photos, includes A-10C, F-18C, Combined Arms demo, and the USAF Thunderbirds. Nellis AFB Open House and Air Show "Aviation Nation 2009" report and photos. Report on the 25th Rhode Island international military parachute competition held back in August in North Kingstown, RI. Photos of the ceremony, parajumps, Chinook and Black Hawk helicopters. Dave O'Brien reports on the Base Realignment and Closure (BRAC) decisions affecting the units and air bases in New England. Dave O'Brien reports on his flight with the 157th Air Refueling Wing to support A-10 Warthogs from the 104th FW. Featuring photos of the A-10 in-flight and KC-135R cockpit shots. Report on NAS Brunswick with photos of the resident P-3 Orion maritime patrol aircraft. Report on the 2006 NAS Oceana show, the F-14 Tomcat's final airshow. Includes over one hundred photos of the U.S. Navy fighters, Blue Angels, and other participants, such as the F-104, F-117 and F-15. Photo report of the Las Vegas Air Show Aviation Nation 2005 held in November at Nellis Air Force Base. Featuring the USAF Thunderbirds and F-22A Raptor demo.